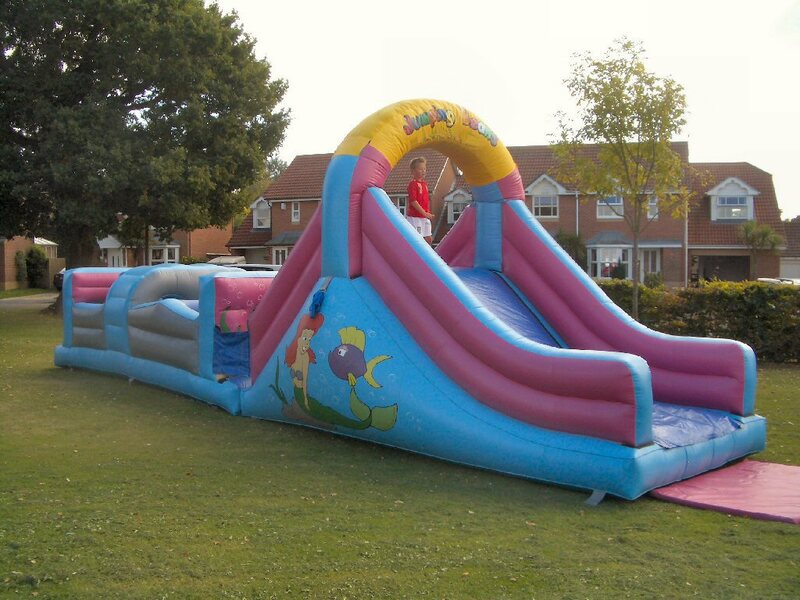 Planning a family fun day, fete, BBQ or just want something to keep the kids amused? 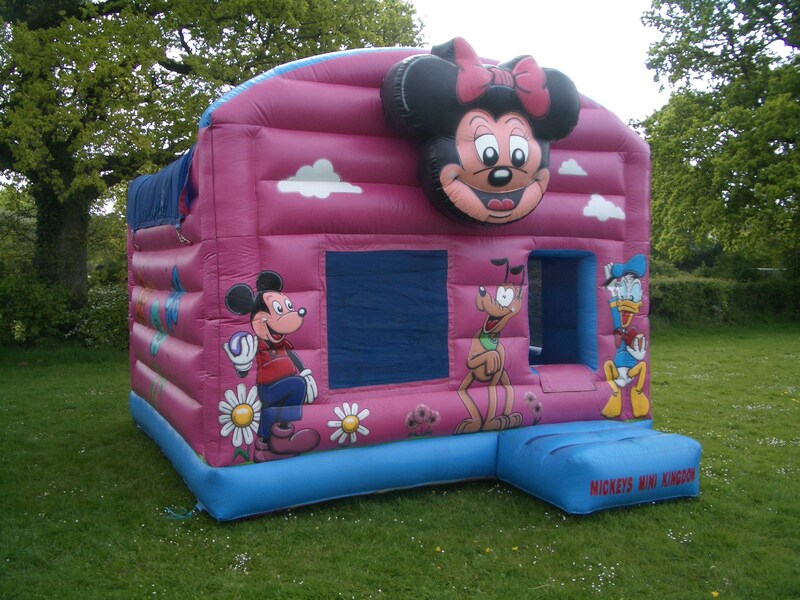 Then why not give us a call. 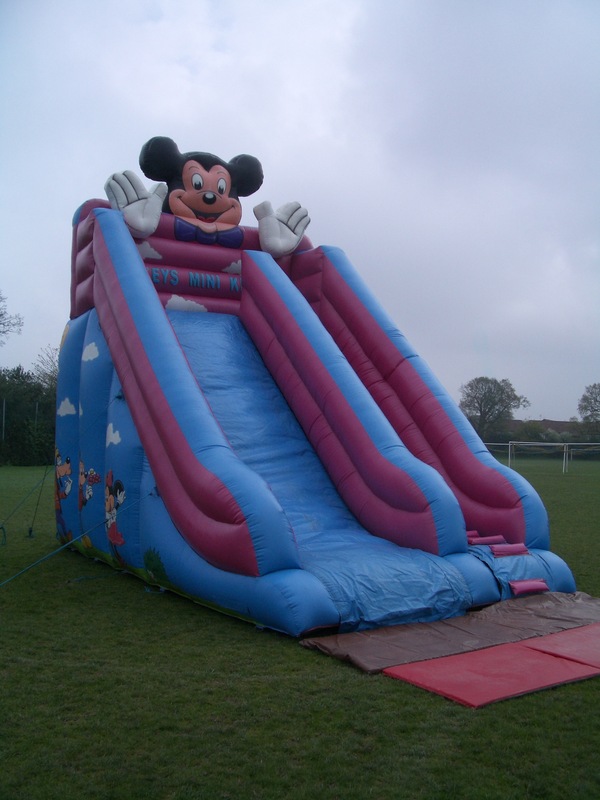 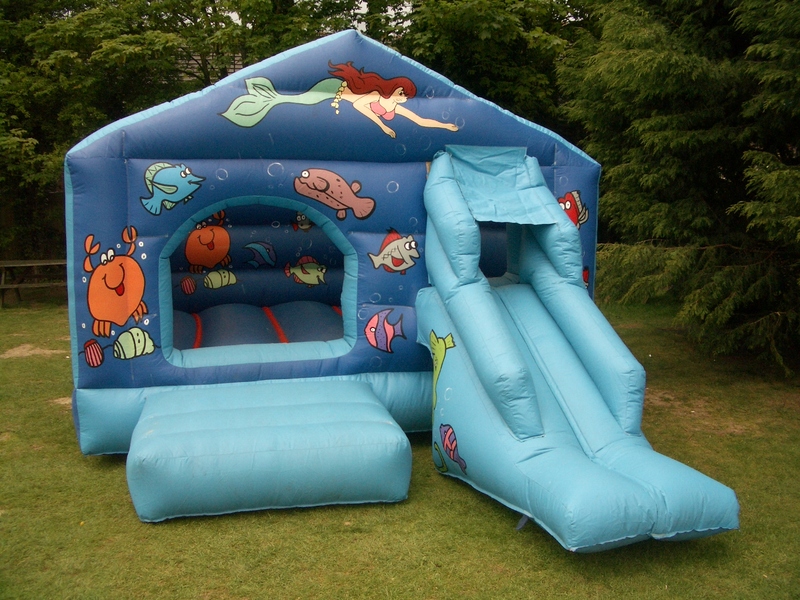 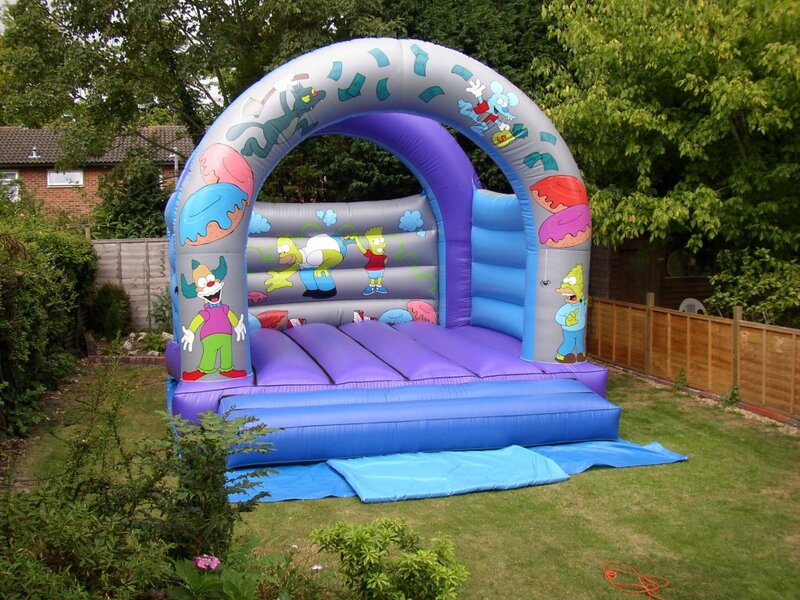 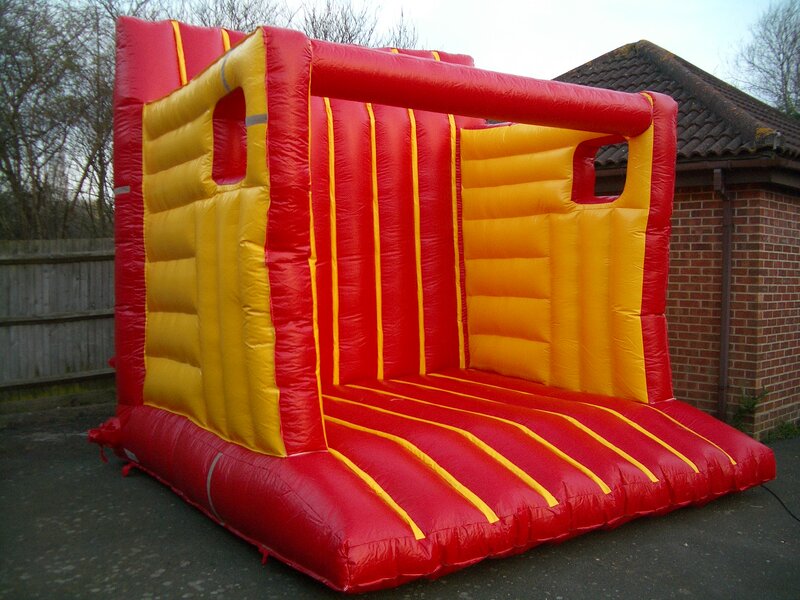 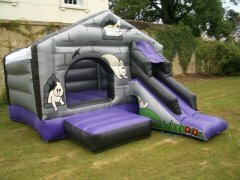 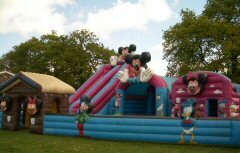 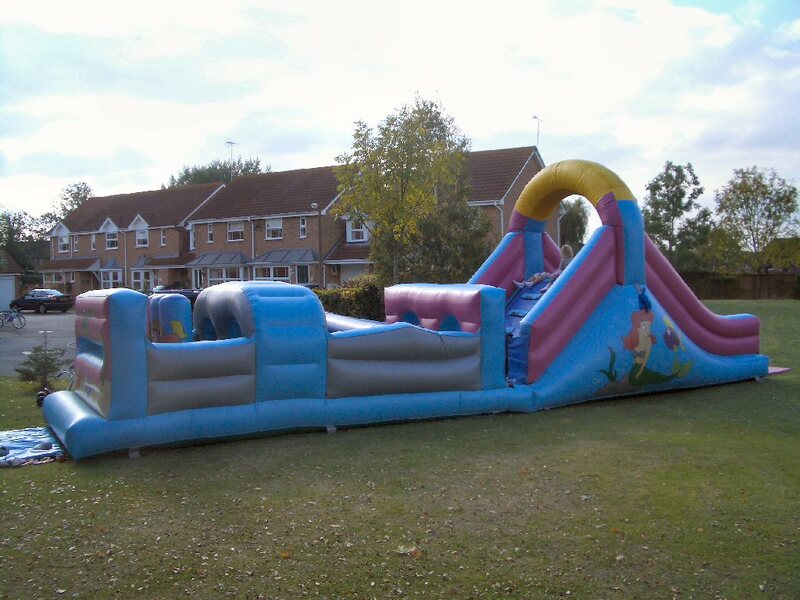 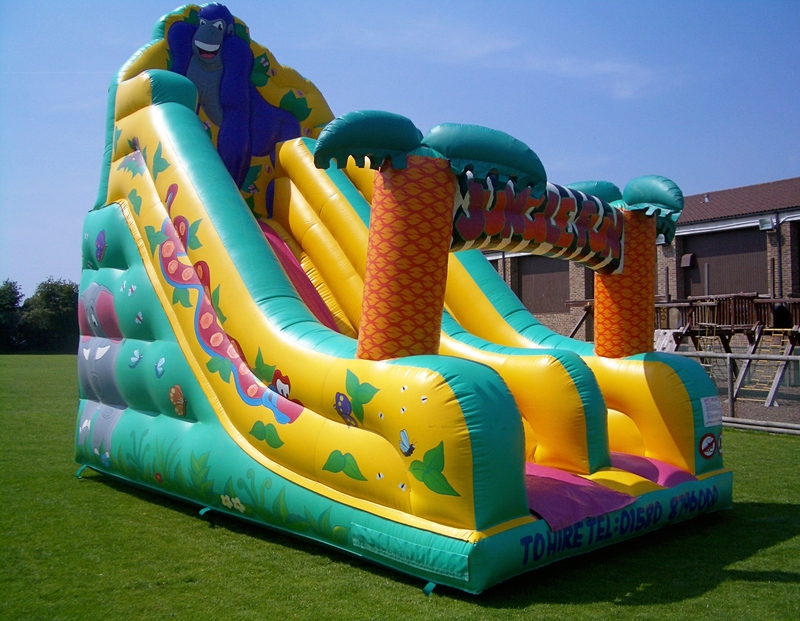 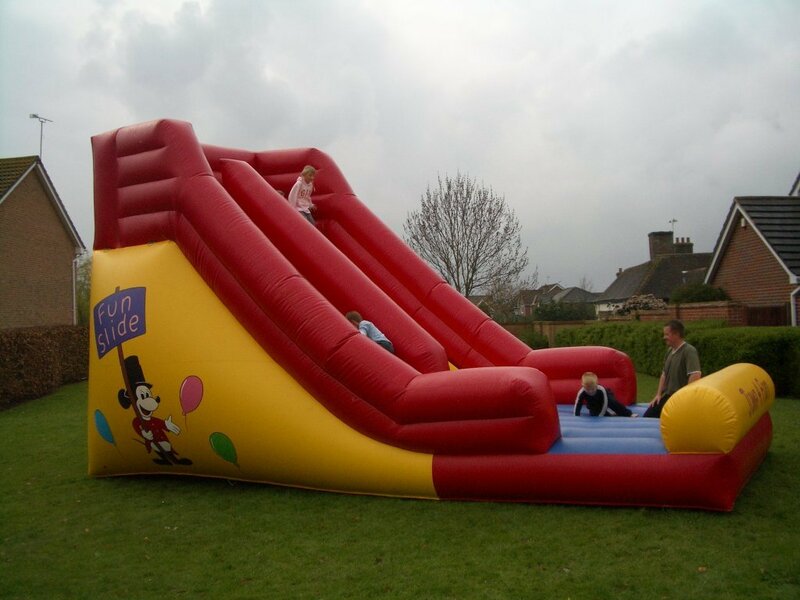 We offer a great range of quality themed castles suitable for either children or adults, plus slides and ballponds for all occasions at competitive prices. 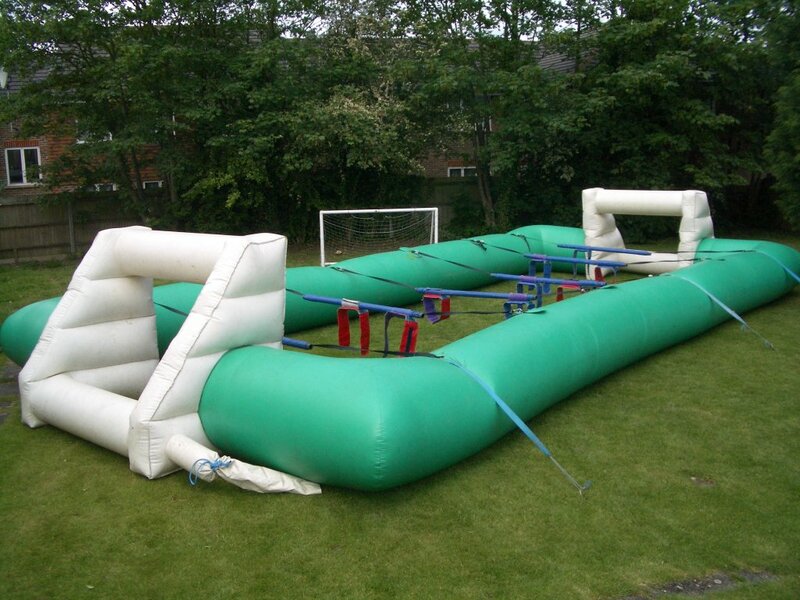 It's Table Football, but just human size. How fast is your penalty kick? 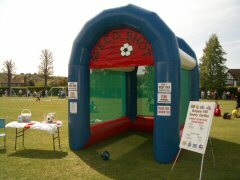 The radar gun will soon tell you! 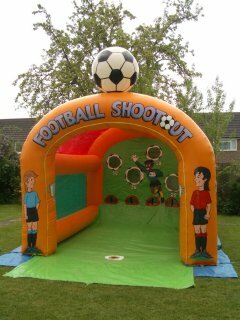 Great fun for football tournaments, fetes and fun days. 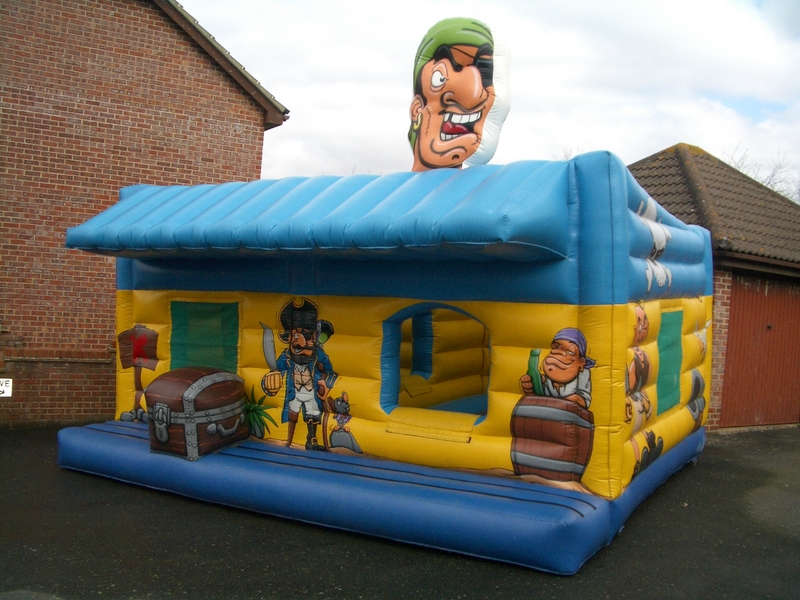 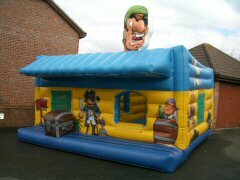 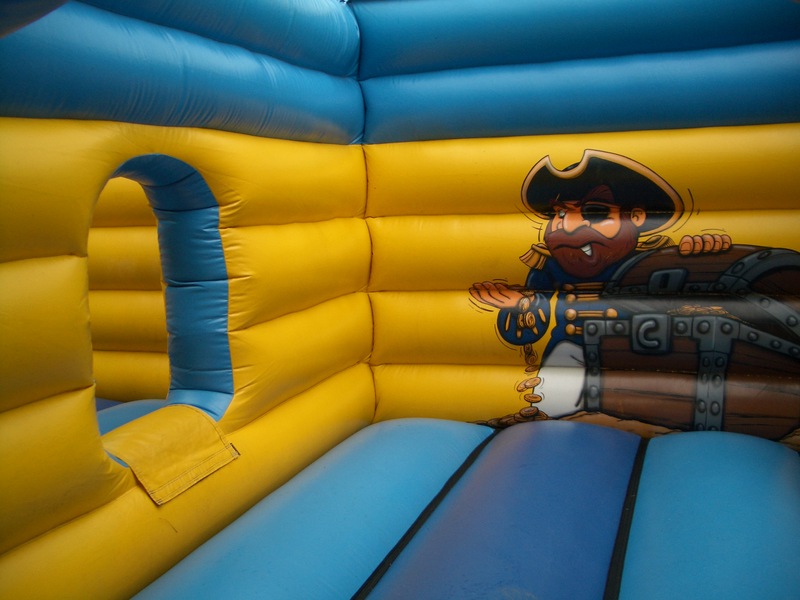 Pirate Adventure 20' x 20' (6mtr x 6mtr) with removable cover. One side has a bouncy bed then jump through into the pirates treasure chest. 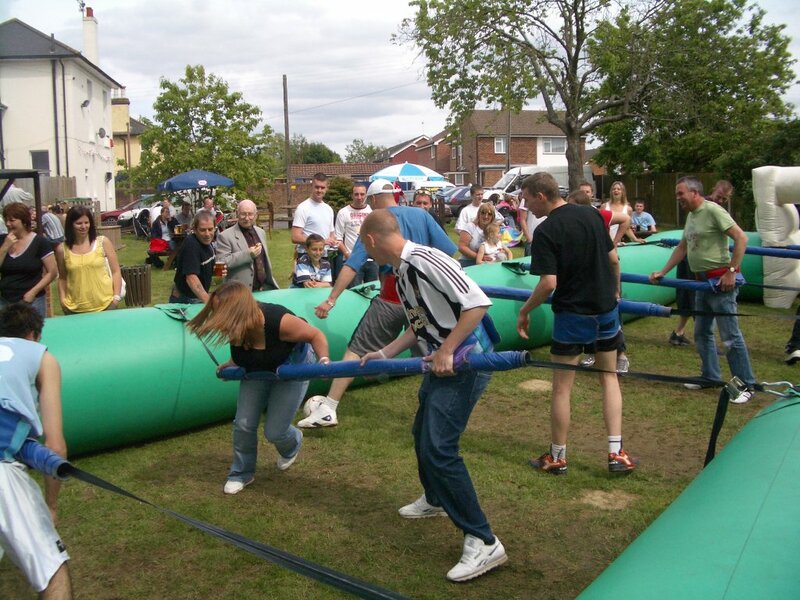 The Assault Course 12' x 25' (3.6mtr x 7.6mtr) includes biff and bash, then a tunnel, more biff and bash, onto the cargo net and down the slide. 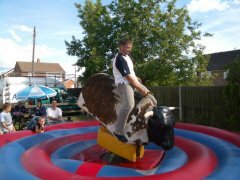 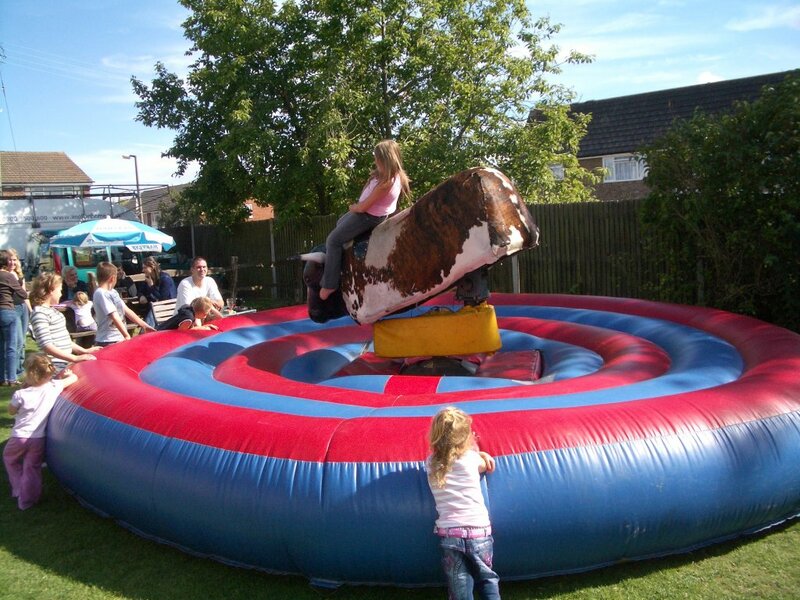 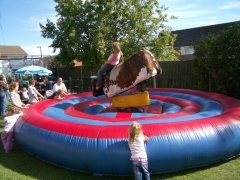 The Bucking Bronco 15' x 15' (4.5mtr x 4.5mtr). Great fun and suitable for both adults and kids. 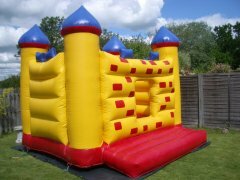 Huge inflatable theme park that includes a giant slide, a large castle for the older ones and a smaller enclosed castle for the smaller ones (or we can mix and match to your requirements). 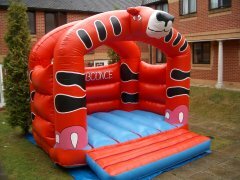 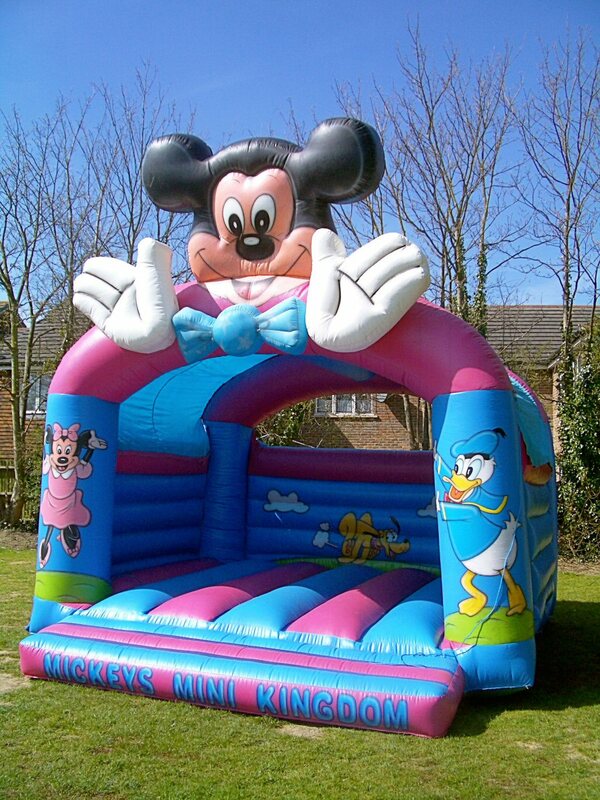 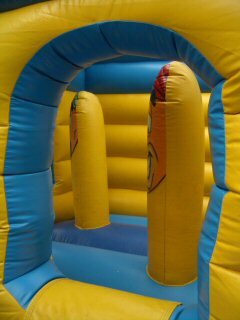 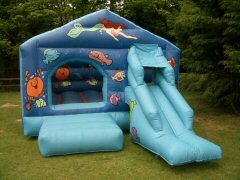 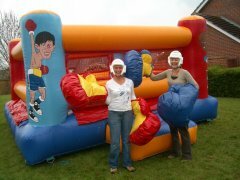 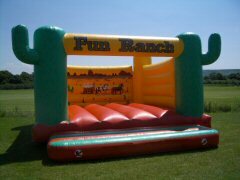 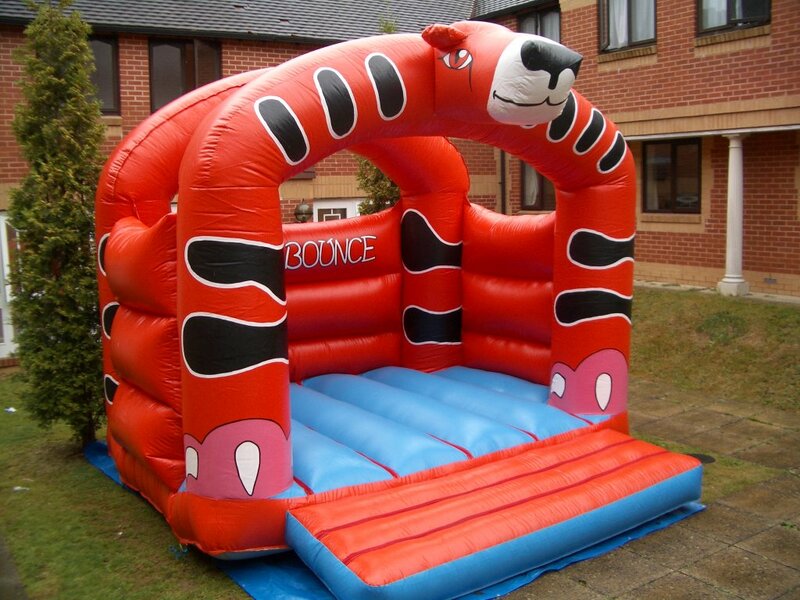 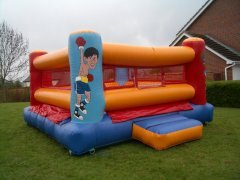 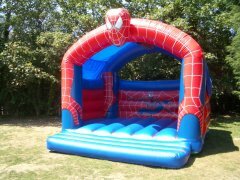 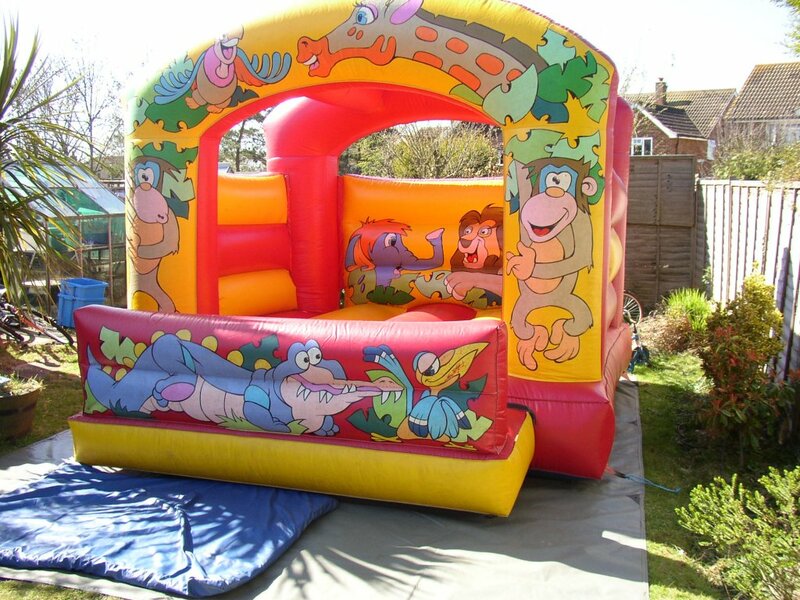 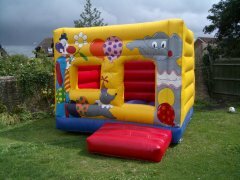 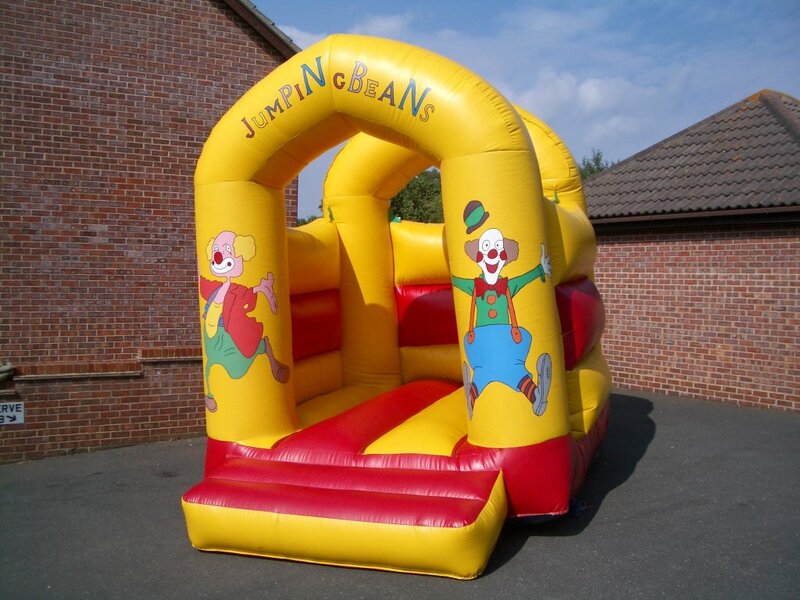 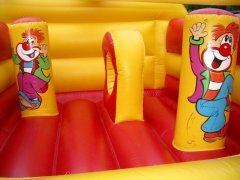 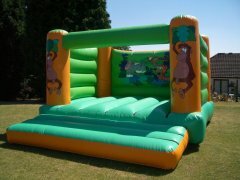 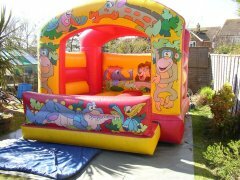 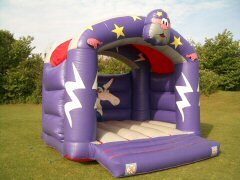 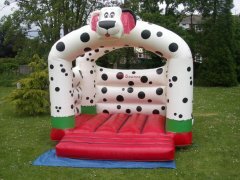 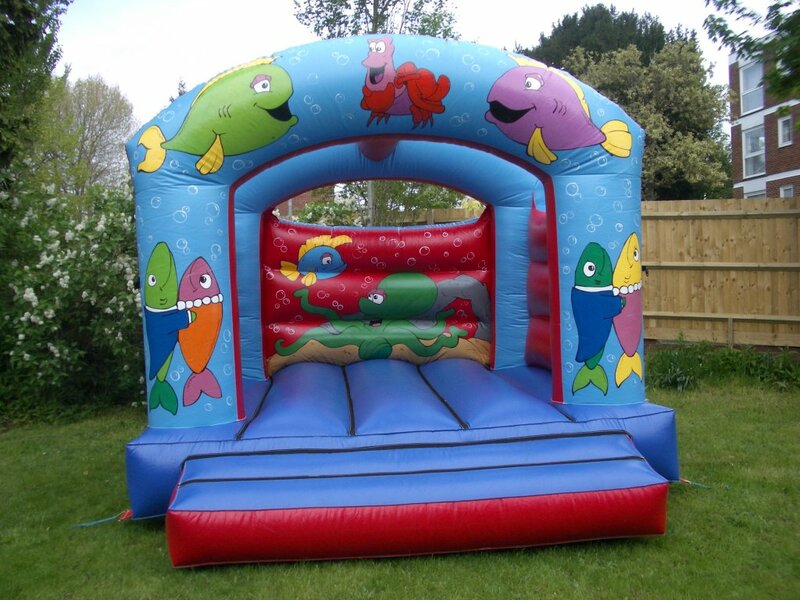 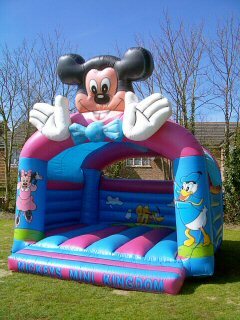 Supplied with a themed barrier that houses the inflatables complete with an entrance and waiting area. 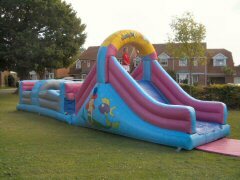 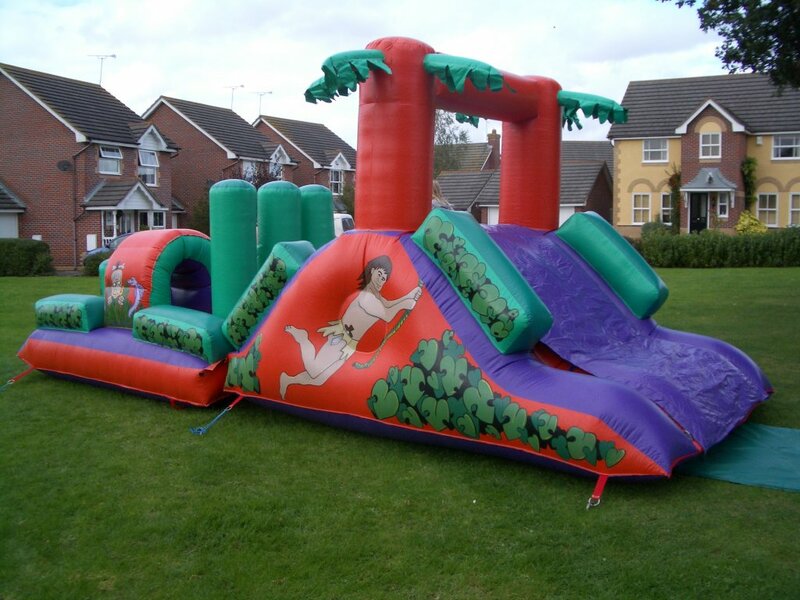 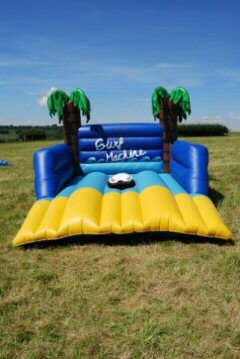 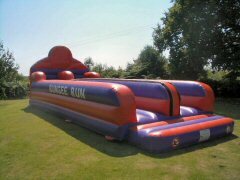 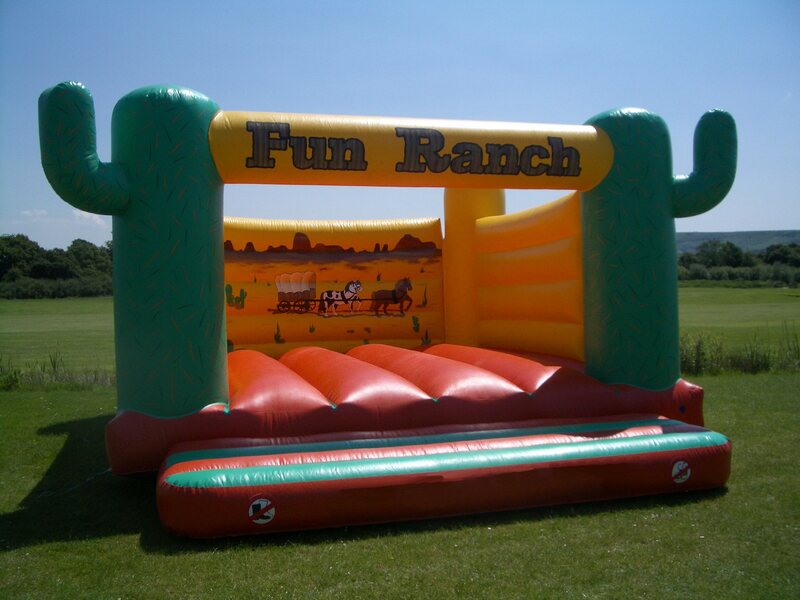 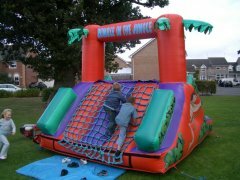 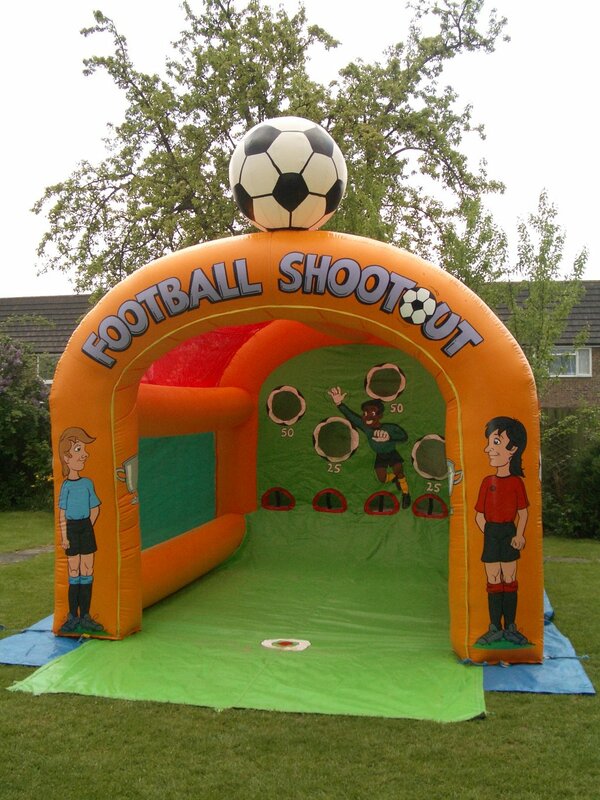 This is very eye catching and over sixty feet in length, and a 'must have' for any large fete, fair or tournament. 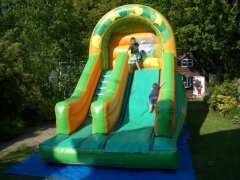 Includes a letter box to squeeze through, then biff and bash followed by a tunnel and a mangle, a hole onto the ladder and down the slide. 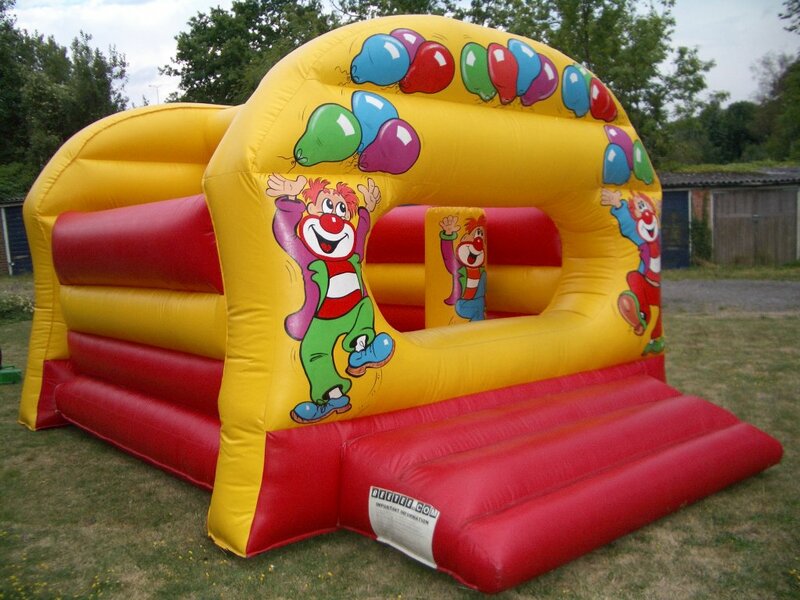 Great fun for all ages, supplied with an operator. 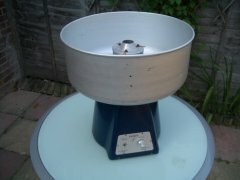 Candy floss machines, supplied with pre-mixed flavoured sugar, 50 sticks and a roll of 20 bags.